Rimpy may have left Home Depot, a veritable hotbed of lowercase L offenses, but that hasn't stopped him from identifying them elsewhere in all walks of life. While I'm on vacation in Israel for my wedding next month, I took a moment to post this HAlF OFF Happy Hour, as it reminds me of Haifa, roughly where I'll be next week. Even better than the HAlF OFF SALE from a few years ago. Tragedy strikes again. 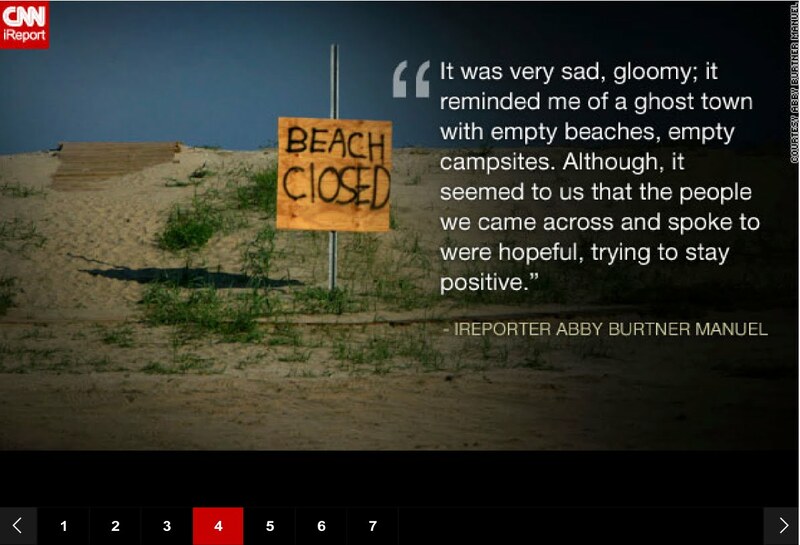 CNN iReporter and U.S. Marine Corp photographer, Abby Burtener Manuel, snapped this photo on Grand Isle, Louisiana as Gulf residents mourn oil disaster in the wake of the BP spill. At the rate of 40,000 barrels of oil leaking per day, it's no surprise that residents lack the will to capitalize the L's on their makeshift signs. It seems this sign is somewhat of a tourist attraction. Lowercase L reader Adam G reports the same sighting in the New York Times, and Adam "Oil" Wells submits the same screenshot as seen on the BBC! 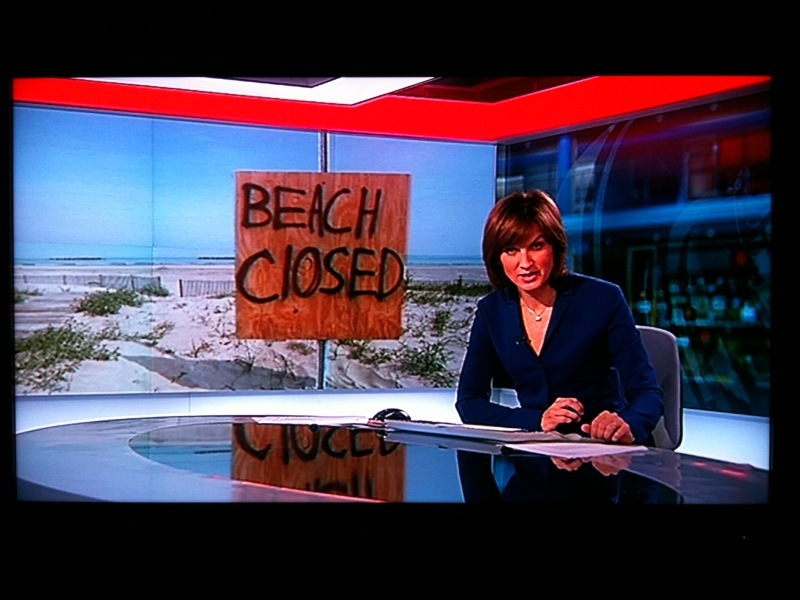 Watching the BBC this evening, the saucy Fiona Bruce introduces a piece about Barack Obama visiting the US coastlines hit by the BP oil slick . I was horrified. 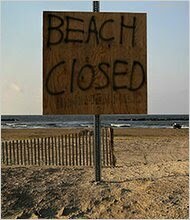 Not by the oil coated turtles or sticky sea birds but the warning sign, "BEACH ClOSED". Environmental disaster indeed. By the way, the lack of posts lately is because I'm getting married.